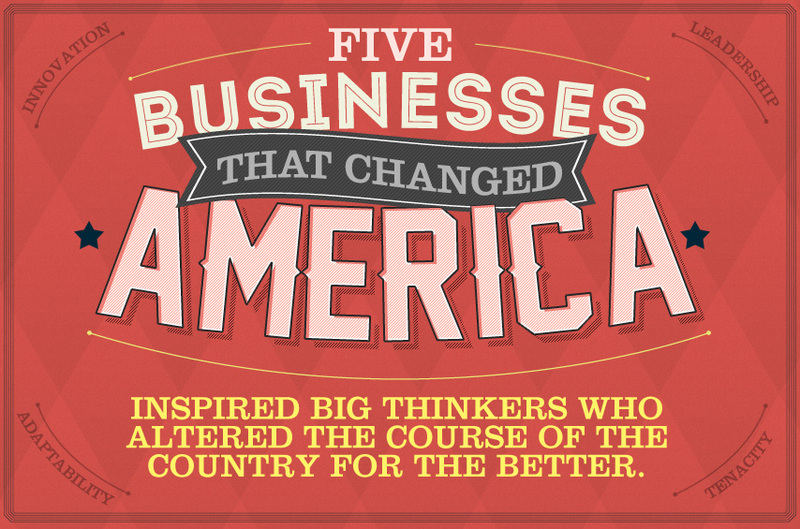 Inspired big thinkers who altered the course of the country for the better. Before 1879, much of America was in the dark when the sun went down each day. Although light could be produced with candles and kerosene lanterns, it wasn’t until Thomas Edison invented the first commercially viable light bulb that our young nation’s future was forever brightened. It consisted of a carbon filament that glowed when a current was passed through it, and on October 21, 1879, during testing at a lab in Menlo Park, New Jersey, it provided light for a total of 40 hours. 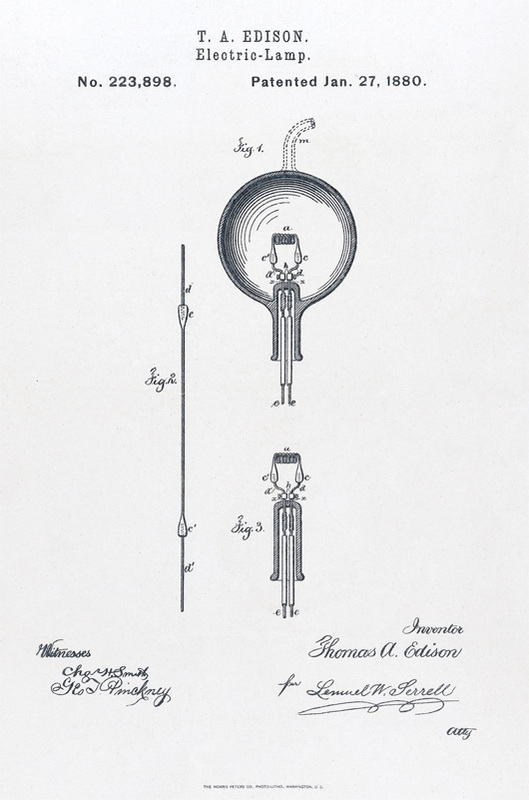 Previously, “arc lights” had been installed in a few cities in the US, but they created a glaringly bright, harsh illumination, while Edison’s new, improved bulb provided a softer glow. Hand-in-hand with the idea of passing the current through a carbon filament to create light, was the invention of a vacuum inside the glass bulb that prevented the filament from bursting into flames. 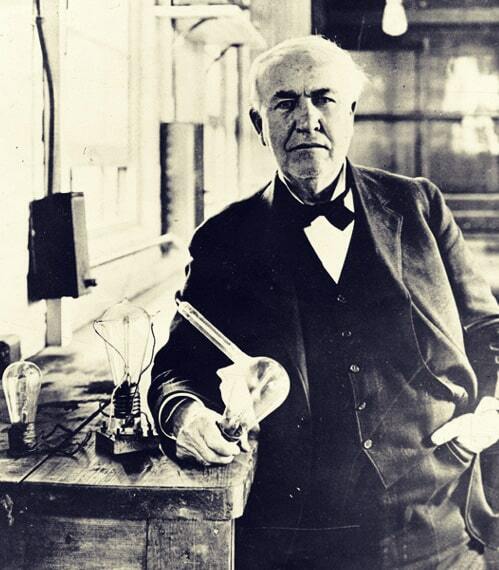 Edison’s bulb was a true example of American stick-to-itness … and deadline extensions. He had promised the bulb in three months, but it actually took Edison and dozens of research assistants working at a feverish pace 14 months to produce one. During the process they conducted 1200 experiments that resulted in lab costs of $40,000 (approximately $850,000 today). In 1880 Edison patented his bulb and began experimenting with a variety of plant materials to produce the carbon filament. He eventually settled on bamboo which produced a bulb that could glow for 600 hours. As a logical outgrowth of his invention, he established the country’s first power generating business in New York City in 1882. Ten years later, through another very American innovation — the merger — the General Electric Company was formed when the Edison General Electric Company joined with a competing business: The Thompson-Houston Company. 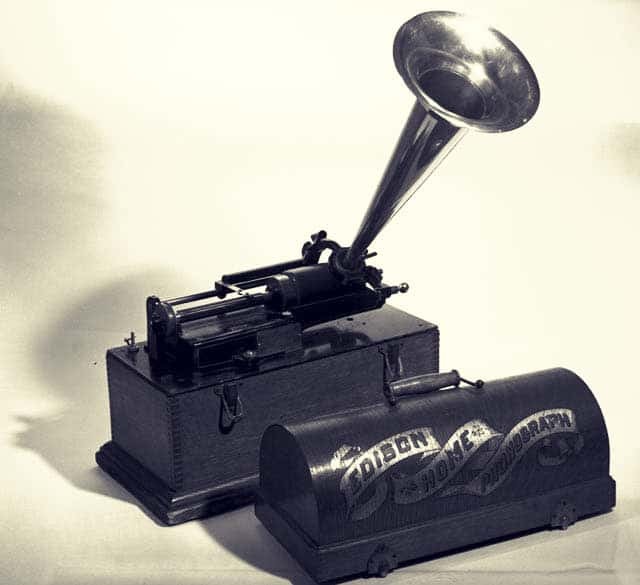 If lighting America isn’t enough to earn Edison your respect, remember that in 1877, he also invented the phonograph, and in 1906 GE was responsible for the world’s first radio broadcast — two devices that would bring everyone from Billie Holiday to Billy Idol into the homes of Americans across the land. In the development of electrical appliances, Thomas Edison and George Westinghouse were as different as … well … AC and DC, and their feud over the two types of current has become a legendary part of the American business landscape. Among the 60 different companies he formed and helmed during his lifetime, Westinghouse created the Westinghouse Electric Company in 1884, which eventually obtained the rights to inventor Nikola Tesla’s patents for alternating current (AC). At the time, both Tesla and Westinghouse were staunch proponents of this system of electricity which allowed current to flow in two directions along a wire. Edison however, was a fan of direct current (DC) which provided a straight stream of electricity in one direction only. 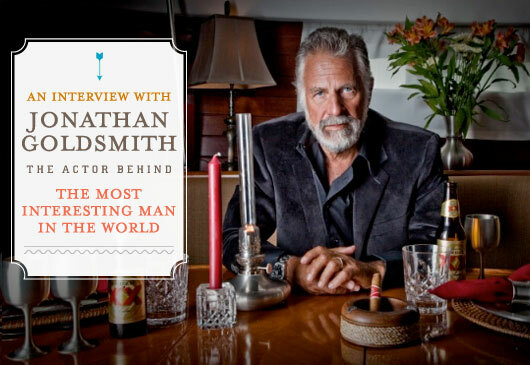 He argued that DC current was safer because of its lower voltage, and at the time, he had the public on his side, due in no small part to a public relations campaign he funded. Remarkably, the widespread fear of AC current was fanned by the fact that it was used to power the electric chairs used in New York state executions. 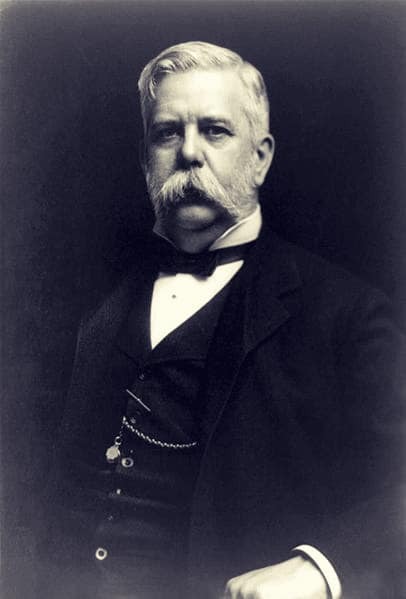 Westinghouse had always had a keen interest in the railroad, having invented the airbrake years earlier, which allowed trains to stop with a previously unknown level of accuracy. In 1905 he applied his work with AC current to railroads, creating the first locomotive to run on AC power. He soon electrified railway cars in New York, New Haven and Hartford. A train retro-fitted with Westinhouse's airbrake system. Westinghouse is also responsible for creating air-filled shock absorbers and a valve that allowed natural gas to safely be delivered to private homes. He was insatiably inquisitive, held 361 patents and was inducted into the Hall of Fame for Great Americans (1957) and the National Inventors Hall of Fame (1989). 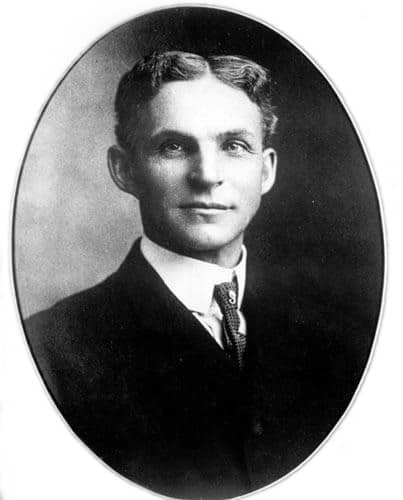 Henry Ford is often credited with inventing the car and the assembly line method of production. While neither of those are entirely true, what he did do was create “a car for the great multitude” using the most cutting edge manufacturing facility that had ever been built at the time. Ford worked for both the Westinghouse Engine Company and the Edison Illuminating Company. It was while working at the latter that he invented his first gasoline-powered automobile which he called a Quadricyle. After several failed attempts at forming a car-making company, the Ford Motor Company was finally launched in Detroit in 1903. 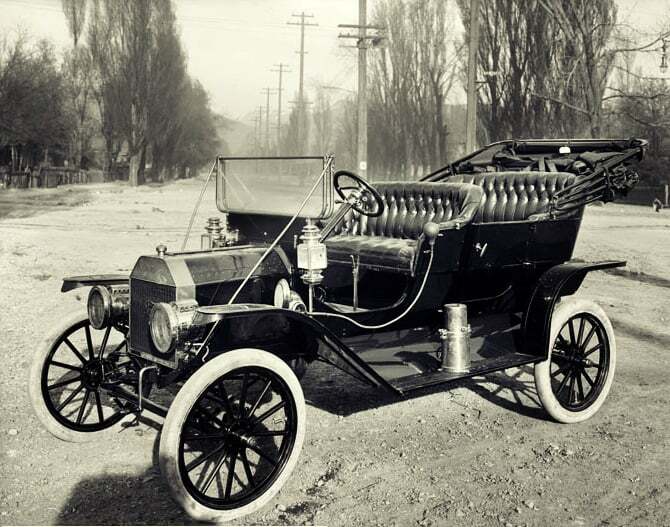 In October 1908, the first Model T car rolled out of a Ford factory and was an instant hit. Costing $950, a sturdy, reliable car suddenly became something within reach of middle class workers, and no longer a privilege reserved for the rich. Because the car was such a hit, Ford was driven to produce more of them and in 1913, he opened a factory using the world’s first moving assembly line for cars. By 1914, his plant in Highland Park, Michigan could produce a car every 93 minutes and eventually, his manufacturing techniques were so fine-tuned that a single Model T could be assembled in just 24 seconds. 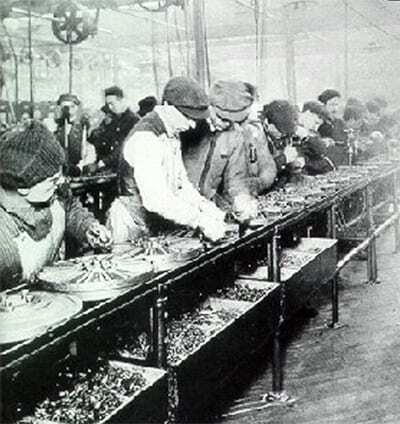 Ford's workers on the assembly line. Recognizing that the pace and monotony of working on an assembly line could be trying for his employees, Ford introduced another game-changing innovation into the manufacturing process: a significant pay raise. In 1914 he upped his workers’ salaries from $2.34 for a nine-hour workday to $5.00 for an eight-hour shift. This not only stabilized his workforce, it actually allowed them to earn enough of an income to purchase the very cars they were producing, which would eventually reach a low price of $280 per vehicle! An advertisement for the Model T in 1910. Even though Ford didn’t invent the car, he certainly invented a car-loving society. His affordable vehicles literally changed the landscape of America, influencing the development of highways and another American invention: the suburbs. 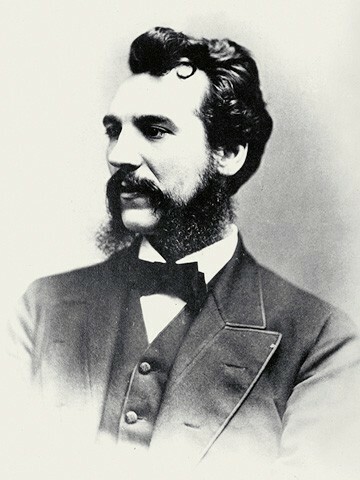 Bell in 1876, at 29 years of age. Today, AT&T is just one of many cell phone providers. But in the late 1800s, they were THE telephone provider. In 1892, AT&T opened the first line between New York and Philadelphia, which at the time was the country’s first long-distance line. A call between the two cities at the time cost $9 for five minutes and the line could only handle one call at a time. In 1915, the first intercontinental system opened, making calls across the country possible— albeit expensive—at $20.70 for the first three minutes. By 1927, it became possible to call overseas when the company launched the first transatlantic phone lines between the US and London. But AT&T’s impact on America goes far beyond phone lines that could deliver a single call at a time. 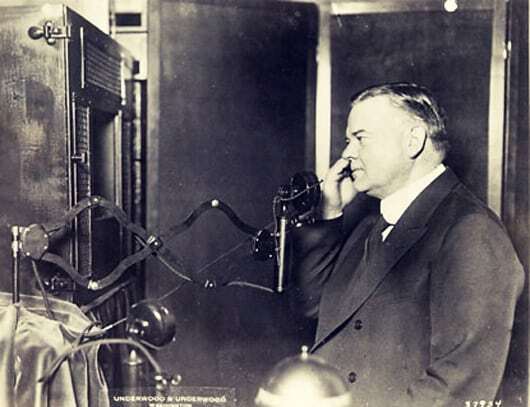 In 1927, they transmitted a broadcast of Herbert Hoover (then Secretary of Commerce) in what was the first demonstration of live TV in the United States. In 1941, they invented and deployed the first broadband transmission medium in the country—a coaxial cable that ran from Minnesota to Wisconsin. Five years later, they launched mobile telephone service, in which an antenna could beam 12 to 20 calls over a single metropolitan area at one time. Then Secretary of Commerce Hoover during the first demonstration of live television in the US. By far the most significant invention to come out of AT&T after the telephone was that of the transistor in 1947. The tiny device carried and amplified electrical current and replaced large, costly, and unreliable vacuum tubes in electronic devices. This opened the way for another significant American invention: the personal computer. Ted Hoff, one of the inventors of the microprocessor. While Microsoft, IBM and Apple can be credited with the development of the personal computer, neither company would have been able to make their machines as small as they did without one critical component: the microprocessor. The first major leap toward making computers fit on a desk instead of in a large room came from scientists at Texas Instruments and Fairchild Semiconductor, who created something known as an integrated circuit. These small chips combined multiple electrical functions into one device, including the resistors originally invented by AT&T. But in computer design at the time, it was still necessary to have a different chip for each of the computer’s functions — keyboard input, printer communication, and other processes — so the computers were still quite large. 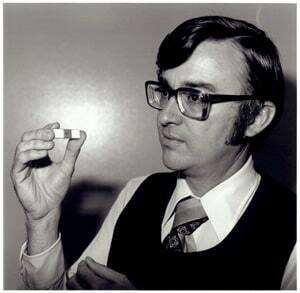 A new company named Intel was formed in 1968 by two researchers from Fairchild Semiconductor and, three years later, an engineer employed there named Ted Hoff felt that he could devise one chip that could do the work of all the others. In 1971, the company released his invention: the Intel 4004 microprocessor, the first device of its kind the world had ever seen. 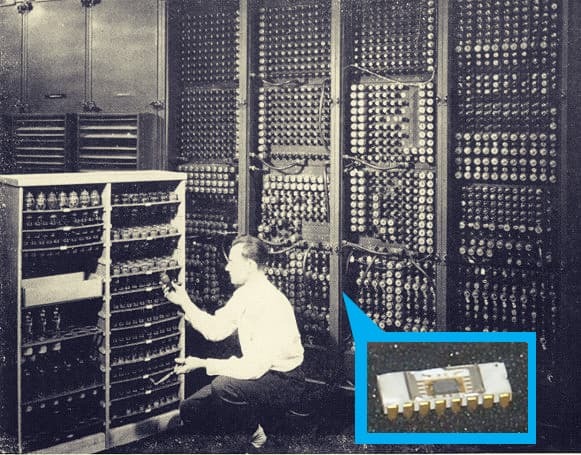 The 4004 chip could do the work of the giant ENIAC computer, which was built during World War II by the University of Pennsylvania to execute ballistics calculations. That computer weighed 30 tons, cost $500,000 and occupied almost 2,000 square feet of floor space. Compare that to a MacBook Air, and you can see just how significant the microprocessor was in changing America’s technological landscape. The Intel 4004 microprocessor, compared to the ENIAC computer. In many ways, Intel did for the computer what Ford did for the car: they made it available to the masses. General Electric and Westinghouse have Nikola Tesla to thank for their success. That statement reeks of ignorance. While Tesla performed some groundbreaking work, do not discount GE or Westinghouse. GE especially are a phenomenal company that have never stopped innovating. GE are keeping skilled work in America, where they design nuclear power-plants, combined cycle gas turbines and wind farms amount many other notable achievements.